Iran will find the United States a "willing partner" if Rouhani is prepared for serious talks on its nuclear program, says the White House. 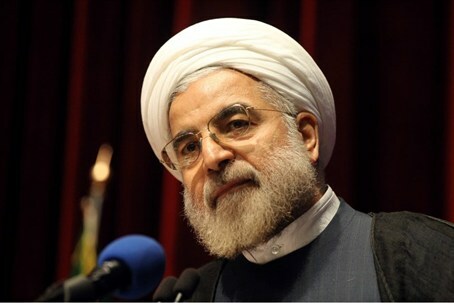 Iran will find the United States a "willing partner" if new President Hassan Rouhani is prepared for serious talks on its nuclear program, the White House said Sunday, according to the AFP news agency. In a message congratulating Rouhani on his inauguration, the White House said it "presents an opportunity for Iran to act quickly to resolve the international community's deep concerns over Iran's nuclear program." "Should this new government choose to engage substantively and seriously to meet its international obligations and find a peaceful solution to this issue, it will find a willing partner in the United States," the statement by White House press secretary Jay Carney said. In taking the oath of office in Tehran Sunday, Rouhani called on the West to engage Iran through dialogue not sanctions. "The only path to interact with Iran is through negotiations on equal grounds, reciprocal trust-building, mutual respect and reducing hostilities," Rouhani said after being sworn in before parliament. "If you want a proper answer, do not speak with Iran with the language of sanctions but with the language of respect," he said, adding Iran would "not surrender to sanctions, nor be threatened with war." The West is hoping for a fresh start under Rouhani after years of unsuccessful negotiations with Tehran over its nuclear program, which it suspects is aimed at developing a nuclear weapons capability. Rouhani, who was elected in June and has been dubbed a “moderate” by the West, has promised greater openness over the country's nuclear activities. However, he is subordinate in the country's power structure to the clerical leadership, particularly in the realms of foreign policy and security. Israel has warned that Rouhani may be a wolf in sheep’s clothing and would take advantage of any relief on sanctions to continue his country’s nuclear program. International Relations Minister Yuval Steinitz said in an interview last week that Rouhani had “cheated” the West when he led negotiations over the nuclear program a decade ago. “He [Rouhani] is cunning, he’s charming and he will smile all the way to the bomb unless the Western world will do everything necessary to stop him,” warned Steinitz.